Offer DetailsZomato Gold Promo Code, Coupons & Offers: Get 20% OFF on Zomato Gold subscription on using code MANO5689K with 1 year paid Zomato Gold Membership Exclusive Offers: Zomato Gold 1 Year Full Membership at Rs.1200 which Unlock Gold privileges on all days of the week or you can also Zomato Gold 1 year membership Weel Day only @ Rs.500 which Unlock Gold privileges on Mondays to Thursdays. Note: Zomato Money added to Zomato account after membership for 1 year is purchased. Use exclusive Zomato Gold coupon code to get Rs.300 Zomato Money. Moreover Also Avail amazing offers such as 1+1 on Food OR 2+2 on Drinks from your favorite restaurants. Limited Period Offer. To Grab the Zomato Gold Offers - You Need to Go to the undefined offer page. How-to-User-Zomato-Gold-Membership-Offer?'>How-to-User-Zomato-Gold-Membership-Offer? ">How to User Zomato Gold Membership Offer? What is Zomato Gold Membership Offer? What is Zomato Gold Offer on HDFC Bank? How Do I Get a Discount on the Zomato Gold Offer? How Do I Get Free or Discounted Zomato Gold Membership? Is a Zomato Gold Membership in India a Good Deal? How Can I Make Most of My Zomato Gold Membership? What If Multiple People Use the Same Zomato Gold Membership Simultaneously? Is It Okay to Do that? How Do I Get Free Meals on Zomato? How does Zomato Gold work? How Do You Become a Zomato Gold Member? Is Gourmet Passport by Dineout Better than Zomato Gold? Where Do I Put in a Coupon Code in the Zomato App? What Does Zomato Connoisseur Mean? What are the Advantages of Being a Connoisseur on Zomato? Any Privileges Vouchers or Discounts? Is the NEW50 Coupon on Zomato India Applicable on Payments Made by Cash? How to Buy and Use Zomato Gold and get 1 month free? Use code FIRST50 to get 50% OFF (up to Rs150) on your first order. T&Cs apply. How-to-User-Zomato-Gold-Membership-Offer? ">How to User Zomato Gold Membership Offer? Looking for a promo code for Zomato Gold? If yes, then there is no need to look further. In here, you will get Zomato gold membership promo code that you can use before taking the subscription. Zomato Gold is a subscription-based service that allows users to gain varied advantages. With Zomato Gold membership offer, users get benefits like 1+1 dish offer where on ordering one dish, the user would get another one completely free. Also, there are 2+2 drinks benefits, where on ordering 2 drinks, users can order the other 2 for free. However, the users take the benefits only when they visit restaurants covered under Zomato Gold. Moreover, the offer is not applicable to online ordering. So, quickly utilize Zomato Gold referral code 2018 and take the subscription now. Additionally, you can opt for different Zomato Gold subscription plans. Using the Zomato Gold membership offer, users can take advantage of 1 complimentary dish or 2 complimentary drinks on their order. Zomato Gold can be used for only one time at each Zomato partner restaurant in a single day. However, users are allowed to visit each restaurant n number of times during the offer period. To avail Zomato Gold, it is necessary for 2 people on the table. Zomato Gold facility is not available for takeaway and deliveries. Zomato Gold cannot be clubbed together with any other offer running on the platform. The Complimentary drink and dish will be the same as the first order. Gold membership discounts are only available on the first purchase only. Non-alcoholic beverages are not included in Zomato Gold facilities. Special occasions such as Valentine's day, Christmas Eve, Christmas Day, and more are not included under Zomato Gold benefits. Offer valid on the dining outlets participating in the Zomato Gold Program. Complete the payment using Mastercard cards. Get 25% Discount on purchase of Zomato Gold Membership using HDFC Bank Debit or Credit Cards. Offer Valid on 3 months and 12 months programs. Also get Additional 5% cashback on weekend dining on Friday, Saturday and Sunday across any domestic restaurants only on HDFC Bank Debit Card. Tap on "Buy Zomato Gold now" in the HDFC section. Choose the membership plan ( 3 Months or 12 Months) auto discounted for HDFC users. If you are hungry and not in a mood to cook, then simply order food online via Zomato. Besides giving facilities like hot and fresh on-time home delivery, Zomato offers you Zomato Gold subscription that allows you to save more on your online food ordering. In case, you do not have the gold membership, then you can make use of Zomato Gold promo code to subscribe. After that, you can start ordering food online from Zomato with a single click on your smartphone. If you have HDFC bank credit or debit card then you can avail additional discount on your orders at Zomato partnered restaurants. Zomato Gold offers 25% extra discount on purchases to its members. For this, you have to make payment via HDFC credit or debit card. However, this offer is available only on 3 months or 12 months plans. Not just this, on weekend, Zomato Gold offers an additional 5% cash back across domestic restaurants covered by Zomato. No Zomato Golf promo code on HDFC card is required to avail the offer. Therefore, to take the advantage, just make use of your HDFC Bank debit card. Zomato Gold membership is available at more than 13 cities in India. However, not everyone is aware of the fact that Zomato Gold membership prices are different in different cities. Since membership is accessible all across India, you can sign up at Zomato Gold at less price by changing your location. First of all, set Indore or Nagpur as your location as cheapest prices are available at these two locations. 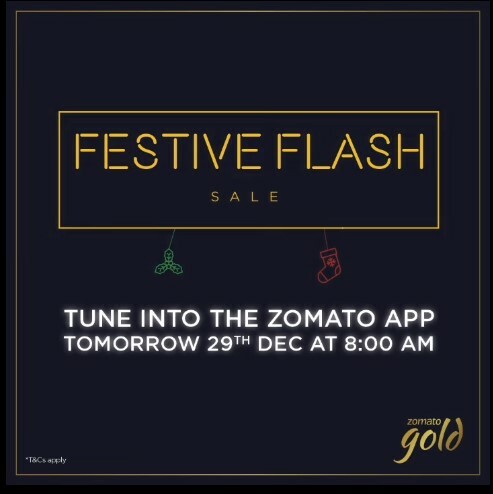 Select Buy Gold Membership on the homepage of your Zomato app. Enter a referral code of your friend to get a flat discount of 20% on your one or two years subscription. 1+1 Dish - With this offer, you can order any two dishes from the Zomato menu and the one with the lower price would be completely free. 2+2 Dish - If you buy any 2 drinks on Zomato, you will get another two absolutely free. The same offer is applicable when you buy only one drink; you will get another one for free. First of all, install the Zomato app. Change your location to Indore or Nagpur where membership charges are the lowest. Join PiggyBank on Zomato which is available on the home screen. In case, you have an invite code, apply it. Now, purchase the Zomato Gold membership using a Zomtao referral code like “THAR1189”. Instantly you will get a 20% discount on your purchase. All the food lovers must have a Zomato Gold membership to save a few bucks. There are four different Zomato Gold plans to choose from, either you can opt for 3 months, 6 months, 12 months, or 24 months membership. With Zomato Gold membership, you will get offers on drinks and food at Gold partnered restaurants. For instance, there is a 2+2 drinks offer where you would get two drinks completely free of cost when you purchase two drinks from the menu. Taking another example of 1+1 food offer where you can save money on your starters. When you order two starters worth Rs. 150, you pay for only one. So, if you frequently visit restaurants to have lunch or dinner, you can save a lot of money using your Gold membership on Zomato. You can take advantage of 2 Zomato Gold memberships together at Gold partnered restaurants to earn free drinks or food. So, if you order, two starters and two main courses, you pay only for one starter and one main course. Before visiting a Zomato Gold partnered restaurant, check whether it accepts payment throughout the Dineout app or not. If yes, then add Rs. 1,000 to your Dineout account to earn 5% extra money to your wallet. In addition, Dineour offers cashback of 20% (maximum up to Rs. 300) on your payments. You can use this amount for your next payment. No, it is not allowed to use the same Zomato Gold membership simultaneously whether you are at the same or different restaurants. Additionally, in many restaurant chains, you are asked to present your ID proof that matches with the details mentioned on the Zomato Gold account. Paytm Cashback on Zomato Gold is valid from 13th June, 2018 - 31st Oct, 2018 or until stocks last before the valid date. Zomato doesn’t offer meals for free but at discount prices on using referral codes. A referral code is generated when you place your first order on Zomato. You can send your referral code to your friends to earn discounts on your Zomato orders. Whenever your friends use your referral code, Zomato will add Rs. 75 as Zomato credits to your wallet. You can use this amount to place next orders on Zomato. If you have a Zomato Gold membership, you can visit any Gold partnered restaurant to take advantage of exclusive Gold offers. Zomato is running a 2+2 offer on drinks under which you can buy two drinks and get other two drinks completely free of cost. Similarly, Zomato offers 1+1 scheme on food where you buy two dishes but pay for only one with the highest price. Install the Zomato app and subscribe for Zomato Gold. To unlock the Zomato Gold, visit any Gold partnered restaurant. It is necessary for the Gold member to be present physically while placing an order to redeem Gold benefits. The reason is, the restaurant may ask you for an identity proof. Place your order and enjoy your meals. Zomato Gold is not applicable to Thalis, Buffets, and some other combinations. Zomato Gold can be used for a complimentary dish but not during the Happy Hours. There is no takeaway facility. The membership benefits stand void on special holidays. Zomato may increase/decrease/change its partners over a period of time. Zomato Gold is a subscription-based exclusive service offered by Zomato. To become a Gold member, you must have an active Zomato account. From the home page of the Zomato app, you can purchase a membership plan for either 3 months, 6 months, 12 months, or 24 months. Also, to unlock your Gold benefits, you have to visit any Zomato partnered website and place your order. Lets first take a look at advantages of Gourmet Passport by Dineout and Zomato Gold. There is no restriction on the number of coupons that you can use in the same bill. Gourmet Passport by Dineout allows you to redeem more than one (maximum three) coupons on your single order. So, it is beneficial when the number of diners is more and only one gourmet account. You can use your Dineout credits to buy a Gourmet Passport for a limited period of time. Gourmet Passport can be used on buffets in selected cities. In most of the Gold partnered restaurants, 1+1 Zomato Gold offer is valid on the full food menu. There are more Zomato Gold partners in comparison to the Gourmet Passport partners in most of the cities. Thus, you get more restaurant choices with Zomato Gold. If two members of a group have the Gold subscription, then Gold offers can be clubbed together. Zomato Gold is accessible across India while the Gourmet Passport facility is available at selected cities only. With Zomato Gold, you can enjoy Gold benefits n number of times, provided you redeem the offers on different days. From the given list, one can easily guess which one is better. If you have a Zomato coupon code, you can use it before making your payment for Zomato offers. First of all, select your dishes on Zomato app and add them to the cart. When you are done, proceed to the payment section. In here you will see a “Have a Promo code?” tab, click on it. Enter the Zomato coupon code and make your payment. In case, you are a new user, you can even grab up to 50% discount on your next five orders. The highest title or achievement that a customer can acquire on Zomato is known as Zomato connoisseur. Zomato started an achievement system where reviewers could fetch points on writing a review or uploading a picture. Customers have to accumulate these points to level up their title on Zomato. You receive invitations for food tasting events. You can try out different cuisines at numerous restaurants for free. Zomato gives you goodies like mugs and stationaries when you become a connoisseur. You will receive food vouchers from Zomato along with special discounts on your orders. No, it is not possible to pay via cash when you want to use any coupon on Zomato. To use a coupon, you have to place an order through the Zomato website or app. Zomato Gold Premium Subscription Comes to India. The programme is available in Delhi NCR, Mumbai, and Bengaluru. Subscribers can access the programme directly from the Zomato app or through its official site. The paid subscription for the Gold programme is available at Rs. 599 for three months and Rs. 1,499 for a year. Early members can opt for an early bird offer by paying Rs. 299 for the three-month plan or Rs. 999 for the annual one. Users can purchase a Zomato Gold plan by going to the Dining Out/Drinks & Nightlife tab from the Zomato app or by visiting the Zomato site. Benefits available through the premium service can be availed at a Gold partner restaurant by searching its name on the Zomato app and tapping the unlock Gold visit option. Zomato Gold Membership has made dining out a lot more affordable and offers best deals everyday. In short, Zomato Gold offers "great value"Zomato Gold promo codes 2018 will give you assured discount on purchasing the gold membership of Zomato. "1+1 on food" simply means if you order 2 food items with Zomato Gold Membership, you have to pay for only 1 with the higher price. Last year around November, Zomato Gold was established in India and in a short span of 6 months, this product adoption is way too good. This great response was the result of great offers that Zomato gold offered to its customers. Today, Zomato gold might be India's fastest-growing paid subscription program with over 200,000 members in 5 Indian cities. Zomato Gold members never face issue with service quality and availability of tables at Zomato Restaurant partners. Users had to wait for a specific time in every month to avail this membership, as this offer is active at regular intervals but for only a few hours every month. With Zomato Gold Membership, the member can visit only a restaurant once a day. On 27th April, The sale for Zomato Gold was open for last time. For final sale, it was termed as Zomato Gold Rush. Once the gates shut, those who manage to get in will be enjoying the privileges of their memberships. Those who don't might only get to read about how the Zomato Gold members are enjoying themselves silly and will be left craving for an invite. After 27th April, it is available by Zomato Gold Invite Code only. Zomato Gold soon going to be available for Chandigarh, Jaipur, Ahmedabad, Kolkata and Chennai. Zomato Gold has seen so much love. We've been strengthening our restaurant partner base to deliver new and refreshed choices of hand-picked restaurants so members have a great dining experience. Don't forget, Zomato Gold members enjoy privileged access to exclusive #GoldExperiences ??? ?